The people behind the mission. For more nearly 60 years, the National Repertory Orchestra, a 501(c)(3) not-for-profit, has played an important role in preparing young musicians for careers in the orchestra world, while delivering outstanding musical performances for residents and visitors in Summit County. Today the NRO has achieved unparalleled success and is at the forefront of the nation’s summer music festivals. The National Repertory Orchestra is a preeminent intensive fellowship that equips young musicians for orchestral music careers while providing the highest-level of musical experience for all stakeholders. We pride ourselves on Changing Lives Through Music. The National Repertory Orchestra is recognized as a national leader for preparing young musicians for future careers in music. Graduates are actively pursued as the most desirable candidates for placement in professional musical organizations worldwide. As a result, music audiences, educators, professionals, applicants and supporters are inspired to participate in the NRO’s innovative approach to educational and experiential programming. For symphony orchestras to survive and thrive, musicians need to be advocates for classical music in all aspects of life, especially by being active and present in their communities. 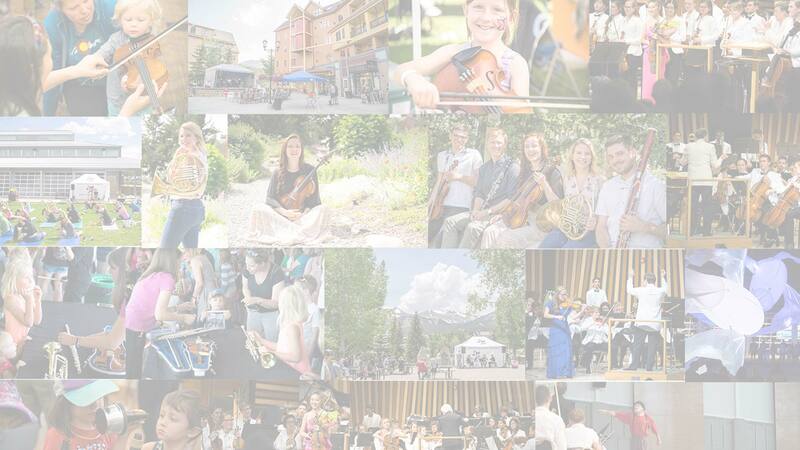 During their summer fellowship, National Repertory Orchestra musicians take part in the NRO’s Community Engagement Program, which prepares the musicians for an active role in the communities they will be serving, and, as important, provides free musical events for youth, the general community, and those who are under-served in Summit County, Colorado. Each summer, the National Repertory Orchestra performs more than 32 free Community Engagement events throughout the community. 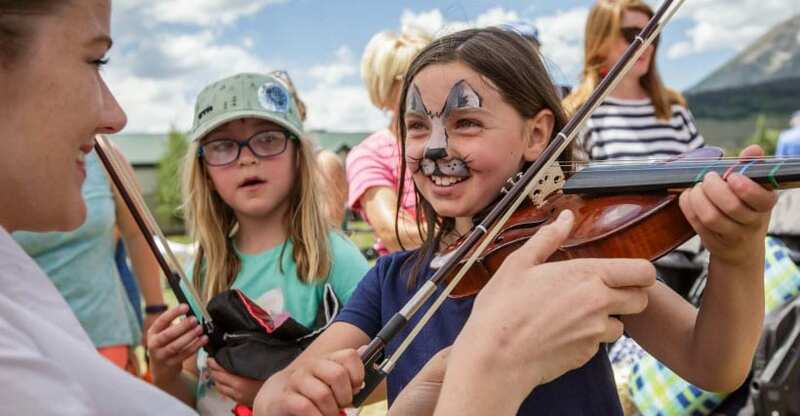 View The Free Events for the 2019 Summer Festival Season! The National Repertory Orchestra firmly believes that music is for everyone and takes great pride in its ability to provide the community with free musical events. Early exposure to classical music engages children’s emotional, mental, and cognitive development. Thus, our Community Engagement events improve the quality of life for Summit County children and their parents. Through innovative ensembles and full orchestral performances, that are both educational and inspiring, musicians introduce children of all ages to orchestral music through a variety of age-appropriate activities. These activities include movement to music, sound-scapes, rhythmic recognition, composition and “petting zoos” – a popular, hands-on format that allows children to hold and play real musical instruments. Each of these experiences serves to introduce and/or reinforce children’s interest in music, strengthening participation in school music programs. Venues for these activities include: Breckenridge Riverwalk Center, Blue River Plaza, Prospector Park, Carter Park, Summit County public libraries and schools. Mary Javian, Chair of Career Studies at the Curtis Institute of Music in Philadelphia, PA, provides NRO musicians with extensive Education and Community Engagement training each year. Mary works with NRO musicians to help them develop an appropriate teaching method that corresponds to actual curricula and enhances their musical education experiences. 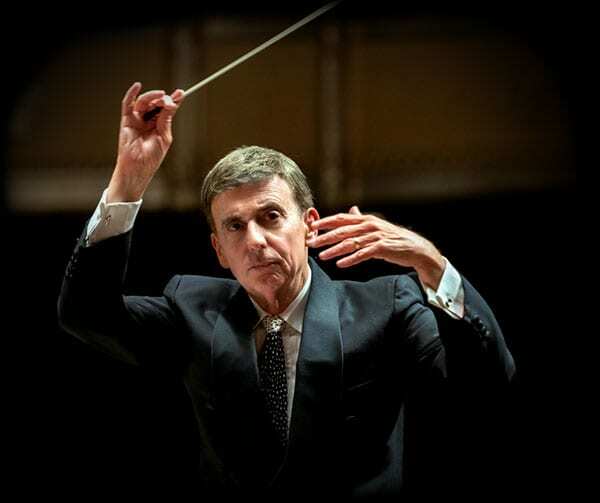 Music Director and Conductor Carl Topilow, currently in his 41st year with the National Repertory Orchestra, has led the orchestra to the forefront of summer music festivals. He has assisted in the training of talented young musicians and conductors for positions in orchestras in the United States and abroad. His manner of presenting the music through musical illustrations and guides has enhanced the concert experience for the NRO’s appreciative audiences. Every year the NRO auditions nearly 1,000 musicians between the ages of 18 and 29 in about 25 different cities across the country to fill the 89 tuition-free spots of the orchestra. The United States is not the only country to be represented in the NRO, with many of our fellows originating from countries in Europe, Asia and South America. So, while “National” is in our name, “International” is in our music. Most musicians have graduated college; some have completed graduate degrees. They are professional musicians gaining the experience to help them secure their first big job in the music world. After attending NRO, alumni are employed by virtually every professional orchestra in America and many around the world. The following chronological history follows the National Repertory Orchestra through 4 home locations, 3 names, 2 Music Directors, 9 Executive Directors, countless board members and a legacy of over 4000 musicians, hopefully all touched by their personal and collective NRO experience. Founded by cellist Walter Charles as the Blue Jeans Symphony in Estes Park, CO. His vision was to fill the gap between academic musical training and the competitive world of the professional musician with a massive dose of classical repertoire, rehearsals, and concerts. All musicians had to pay their own living expenses by working at local businesses. Mr. Charles was the Music Director and Conductor. The orchestra moved to Evergreen, CO and changed its name to the Colorado Philharmonic. A board of trustees was founded and living expenses for the musicians were now covered financially, allowing them to concentrate fully on the music. The present day “Community Link Program” also began. Walter Charles started the Children’s Concerts, acquainting children with instruments, the musicians and classical music. Carl Topilow takes the roles of Music Director and Conductor and focuses on bringing in guest conductors, guest artists, seminars and master classes. Robert Gross became the first Business Manager of the Orchestra. 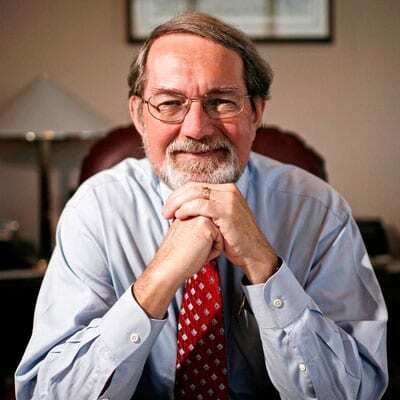 An Executive Director was put in place for the first time and Richard F. Zellner filled the position. The Orchestra was the leading participant in the National Endowment for the Arts 20th Anniversary Celebration at the Kennedy Center for the Arts in Washington, DC. The Orchestra relocated to Keystone Resort and changed its name to the National Repertory Orchestra in an effort to better recognize the national/international make-up of its musicians. Richard D. Lamm, Governor of Colorado, presents NRO with the “Governor’s Award for Excellence in the Arts.” The NRO also performed at Red Rocks Amphitheater. US West Foundation awards the NRO a major grant to produce the “Spirit of Today’s West”: composer competition. The Town of Breckenridge invited the orchestra to perform in the new Riverwalk Center, now NRO’s summer residence. Pamela G. Miller takes over as Executive Director. The NRO performs at the World Youth Day festivities during the visit of Pope John Paul II to Colorado. The NRO performs at the United States Olympic Festival in Denver, Colorado. Joseph Kramer takes over as Executive Director. Jeff D. Baum takes over as Executive Director. Terese Kaptur takes over as Executive Director. The Endowment Fund was put into place to establish long-term financial security. The 4th of July concert began in Dillon, CO. The Pittsburgh Symphony and the NRO partner on a musician training program for African American musicians. The program provides a year long learning experience with two of the world’s leading orchestra’s and enables young musicians to dedicate themselves to the pursuit of an orchestra career. St. Anthony Centura/Summit Medical Center and the NRO partner to deliver a Summer Music Therapy program to benefit patients, medical staff, and selected fellowship musicians. Kerry Farrell takes over as Executive Director. “Friends of the NRO” volunteer committee was established. The NRO celebrates its 50th Anniversary. The NRO receives a grant from the National Endowment for the Arts. Ken Toltz takes over as Executive Director. The NRO and Colorado Mountain College team up to bring the Met Opera Live in HD Series to Breckenridge. Douglas W. Adams takes over as Executive Director / CEO. Mr. Adams established a Reserve Fund, to be used for unexpected events and provide short-term financial security. Endowment Fund broke the $1M mark! The National Repertory Orchestra is an educational music festival balancing the needs of the musicians with the needs of the community, teaching musicianship, mentorship and leadership to create socially conscience musicians and prepare them for a career in music. The NRO is honored to reside in the beautiful and historic ski town of Breckenridge, Colorado and perform the majority of their concerts in the state-of-the-art Riverwalk Center. In addition to the Riverwalk, the orchestra also performs several engagements within the state of Colorado. During the eight-week season, the NRO performs as many as 21 orchestral concerts and over 32 free, community, family friendly concerts. Providing a unique opportunity for young, talented musicians to gather invaluable experience playing a broad variety of orchestral and chamber works, led by Music Director Carl Topilow and joined by world-renowned guest conductors. 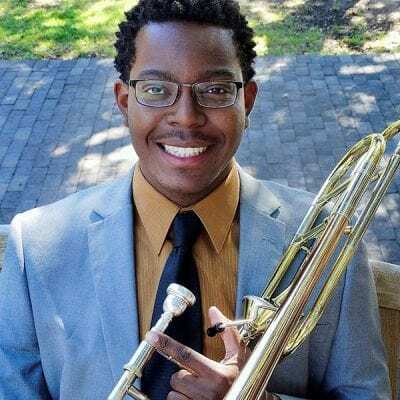 In addition, the NRO prepares these talented young people with real-world insights into today’s opportunities and responsibilities for symphony musicians. 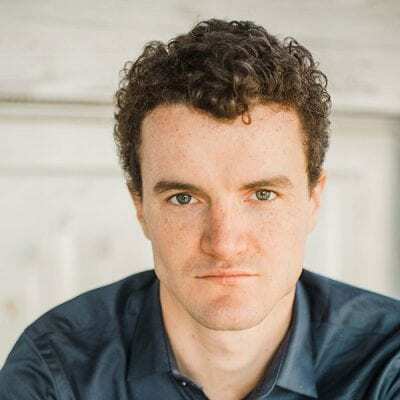 Members of such orchestras as the New York Philharmonic, the Dallas Symphony, and the Philadelphia Orchestra, many of whom are NRO Alumni, participate in multi-day residencies. The 2018 season marked the National Repertory Orchestra’s 59th season and was a huge success. Thank you to all of our wonderful sponsors who made it possible. The Family Mayer Foundation, Inc.
Carlson & Carlson Attorneys-at-Law, P.C.